A potential merger between second-tier e-commerce companies Snapdeal and ShopClues opens up an interesting playground at the next adjacent growth avenue of India’s burgeoning online retail market -- tier II cities and beyond. What makes it exciting is that this combined entity could create a unique value proposition with its complementing product portfolio and absolute focus on the non-metro markets to take on the national leaders -- Walmart-backed Flipkart, US retail giant Amazon, and Alibaba-backed Paytm, whose primary focus is on branded products and top-tier cities. A person close to the development told TechCircle that cash-strapped ShopClues approached now-rejuvenated Snapdeal with a merger offer. Nexus Venture Partners, a common investor, is believed to be orchestrating a potential deal. If a merger materialises, the investor-brokered deal will see ShopClues merging with Snapdeal in an all-stock transaction. ShopClues’ management will clear its debts before the deal closure, the aforementioned person told TechCircle on the condition of anonymity. The development was first reported by online publication Entrackr. While Snapdeal declined to comment, ShopClues did not respond to TechCircle’s queries. Snapdeal is a unique case study in the Indian e-commerce industry. Founded nine years ago by Kunal Bahl and Rohit Bansal, Snapdeal was valued at more than $6 billion at its peak and was considered to be a close competitor to Flipkart. Since 2015, however, it has slipped down the pecking order and has consistently been losing market share. A failed merger with Flipkart proved to be a blessing in disguise for the beleaguered e-tailer in July 2017 when the company decided to take an independent path by adopting a restructured business model to take control of its journey from a point of near death. Today, Snapdeal claims to be the only cash-positive e-commerce business in the country. The revival mantra was simple -- stop the mindless pursuit of market share and the battle against Flipkart and Amazon India, improve operational efficiencies to cut costs, focus on unstructured categories, and establish a solid market share in tier II cities and beyond. The founders, once panned by everyone, executed the strategy to perfection. GMV, or Gross Merchandise Value, refers to the total value of goods sold on an e-commerce platform. ShopClues, which once replaced Snapdeal to claim the third spot in the e-commerce market when the Gurugram-based company’s fortunes were in decline, has long been losing momentum. The company was founded a year after Snapdeal by former Wall Street analyst Sandeep Aggarwal and ex-eBay executive Sanjay Sethi. It entered the exclusive club of 'unicorns', or startups valued at $1 billion or more, after raising an undisclosed amount in a Series E funding round led by Singaporean sovereign wealth fund GIC in 2016. But not long after, Aggarwal stepped down as CEO after an insider trading controversy and was replaced by Sethi. Aggarwal’s wife, Radhika Ghai Aggarwal, was given the designation of co-founder. In March 2017, Aggarwal filed a first information report against his estranged wife and Sethi, accusing them of criminal conspiracy, cheating and forgery. He also accused them of thwarting his re-entry into the company. Amid this acrimony, ShopClues’ fortunes took a turn for the worse as both Flipkart and Amazon accelerated their expansion and Snapdeal regained its footing. In fact, a restructured Snapdeal’s volumes began improving at ShopClues’ expense. ShopClues’ order volumes continue to drop month-on-month even as its fundraising efforts have yielded no results. The Tiger Global-backed company last raised $16 million in external capital from existing investors including Singapore's GIC and Unilazer Ventures in August 2018. The round was perceived as a lifeline for the company to find a way out at a time when it was staring at a closure or sale. According to former employees and service vendors, the platform currently has little runway to continue the business and has been defaulting on payments to its service providers. Meanwhile, Snapdeal has deliberately stayed away from external investments even as the deep-pocketed bigger players are increasingly encroaching on its territories. 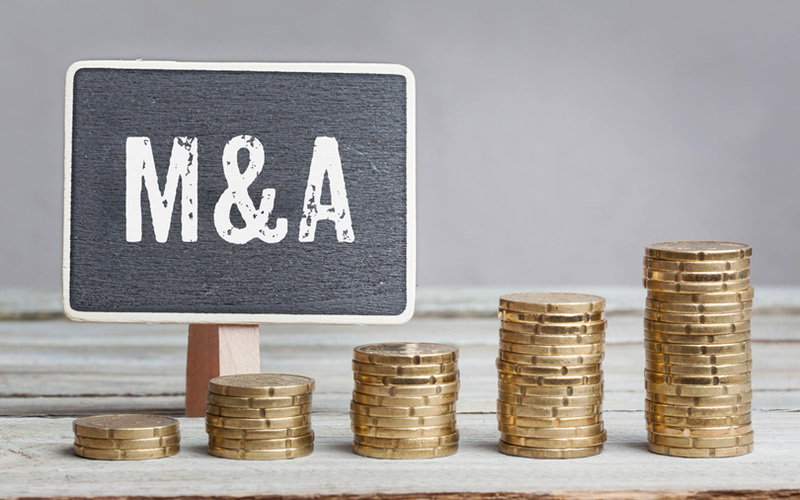 Therefore, consolidation seems to be the best logical next step for both firms to combine their strengths and survive in the longer term against the mighty leaders. “A potential aggregation of both these companies will not only improve their operational efficiencies, but help them lower customer acquisition costs and other expenses with cross-coordination between the platforms,” said Ankur Pahwa, partner and national leader – e-commerce and consumer internet at EY India. “The larger advantage will be the volume that will come through and obviously the supply chain and distribution consolidation. These capabilities will help the combined entity fight for its place in the market against the bigger firms,” he added. The synergies are multi-fold. The market they operate in and the products they offer are fairly complementary. Both platforms focus on unstructured and unbranded categories; both are attempting to create a strong user base in the less explored markets of tier II cities and beyond; and both follow a distributed sourcing model to source closer to the customers. Industry experts say that with a merger, sourcing will get combined, resulting in greater sourcing abilities while achieving better management of logistics and supply chain costs. The aggregation will bring down support costs like marketing and technology, and other service expenses to keep the burn rate under control. The supply chain will get consolidated to offer better efficiency around the entire distribution while the combined entity will be able to effectively aggregate and acquire customers at a much lesser cost. Most importantly, the size and scale of the combined entity can result in better gross merchandise volume and unit economics, which will help it to increase its market valuation and raise capital. Both Snapdeal and ShopClues are solely focused on smaller cities and that’s a strong advantage against Amazon and Flipkart whose primary market is the metros. Besides, both the firms have built strong supply chain and logistics infrastructure in their respective markets, so coming together will enable them to monetise this infrastructure to expand its offering to other segments. “The real opportunity for them here is to step into their next phase of growth, which is about what else can they do in terms of product offering, and other services or solutions they can bring on to the platform to tap deeper into these markets,” Pahwa said. “Once they build an efficient distribution pipeline in their markets, it can then be used for many other things outside of pure e-commerce, such as hyperlocal delivery and such services, which many not be the core of their operations right now,” he added. Simply put, the deal is a win-win for both the companies. While it offers a lifeline for ShopClues, Snapdeal will benefit from the scale and reach that ShopClues has. Besides, the merger helps Snapdeal to take its primary rival out of the market in a share-swap deal where it doesn’t have to worry about a cash payout. Effective aligning of strengths on product portfolio and market presence, where one is stronger versus the other, will be the key differentiator in its success. Snapdeal has shown its ability to restructure a business, become operationally efficient, grow orders and remain stable while driving deeper penetration into its markets of choice. If the Kunal Bahl-led e-commerce marketplace can emulate its own turnaround success this time around, it can result in greater operational efficiency and better product portfolio management whereupon the unprecedented supply chain and logistics advantage and larger customer base of the combined entity will give it enough ammunition to take on the advancing big guns.